If by chance our signature day tour One Day On Maria is full, then we still have options for you! Join our new Maria Island day tour cruising to the Fossil Cliffs and Painted cliffs before stepping onto the island for an afternoon guided walk of the Darlington convict settlement. Tea, coffee, juice, local beers* and wines* are provided on the tour as well as homemade cakes and slices. Customise your itinerary to travel over with, or return with the ferry**. Join our cruise in the morning or afternoon^. Although light snacks and refreshments are provided, lunch is not included on this tour. We recommend bringing your own packed lunch to enjoy in the peaceful surrounds at Darlington. If you would like to explore Maria Island by yourself, you are welcome to walk the short trails around the Northern end of the island. You might also like to hire a mountain bike to get your faster and further afield. Snorkel hire is also a great option to add into your day as the western shoreline of Maria Island is a marine protected area, it is wonderful snorkeling and swimming. Just remember you are 42 degrees south of the equator here in Tasmania, the ocean is by no means tropical. ** Ferry bookings sold separately. Please click the link below. ^ Afternoon cruises subject to morning cruise capacity. 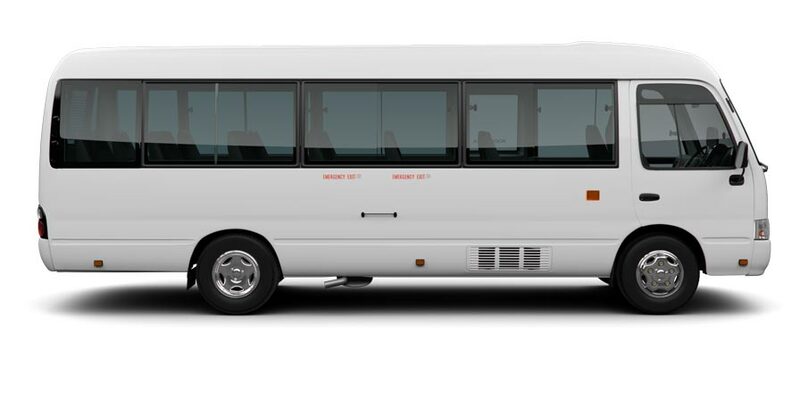 Require our shuttle bus from Hobart?